We'll help you save on Markel Insurance! At ThinkInsure, we understand how important it is for you to find affordable, dependable, and flexible business insurance that can meet the unique needs of your business. In partnering with more than 40 top insurance companies, including Markel International, our brokers have access to countless commercial insurance solutions. Request a business insurance quote today to explore your options with Markel – a leader in business insurance liability solutions and more. Since 1966, Markel Canada, formerly known as ESR, has provided Canadian businesses with reliable commercial insurance coverage. While the company specializes in a variety of lines of commercial liability insurance, they also offer other business insurance options such as property, umbrella, and cyber risk insurance. With offices across the country, Markel is positioned to serve businesses from coast to coast. Why Get A Commercial Insurance Quote From Markel Canada? Underwriting excellence: Markel Canada is known in the insurance industry for its exceptional underwriting and product knowledge – enabling them to provide your business with unique and customized commercial liability insurance solutions. Specialized commercial liability insurance solutions: Markel provides a wide range of commercial liability insurance solutions, which protect your business from a variety of risks and situations that could arise during the course of normal business operations. A commitment to success: Markel is committed to being a leader in all areas of insurance they pursue and add to their product portfolio. To do this, they provide brokers with the support they need to ensure you get the business insurance solutions you need to operate effectively and worry free. Ensure your company is completely covered with our flexible business solutions. Get protection against lawsuits for catastrophic injuries and property damage with our umbrella and excess liability coverage. Get coverage for standard Property and Inland Marine cover, as well as Boiler, Crime, Liability, Cargo and Excess Cargo cover. Additionally, you can get coverage if your business is closed by public officials due to an outbreak of disease, mould, vermin or violence. This covers a broad range of risks to your business, including a selection of liability risks, hull and cargo. 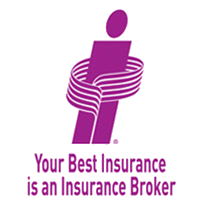 Get A Markel Insurance Quote And Save! In the market for business liability coverage? Time to renew your business insurance? ThinkInsure would be happy to assist you with your commercial insurance quote. Call us anytime!